25.29mm x 9.03mm / 0.996in. x 0.356in. 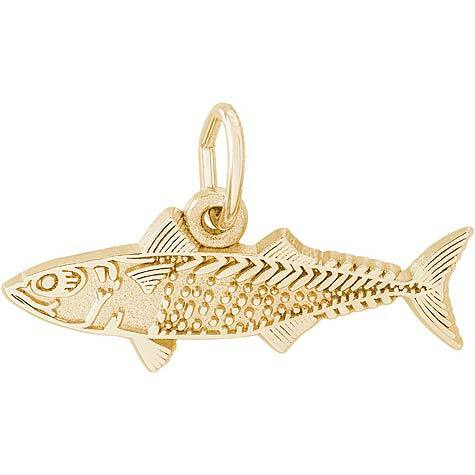 Mackerel Charm. The Fish has etched details on the front, and the back can be engraved.